I don’t know about you, but January has simultaneously felt like the longest month ever and like it vanished in the blink of an eye. Do you feel that, too? Perhaps with the hustle and bustle of the holidays behind us, time seems to be running differently. Regardless of how it feels, February is around the corner! You know what that means, right? 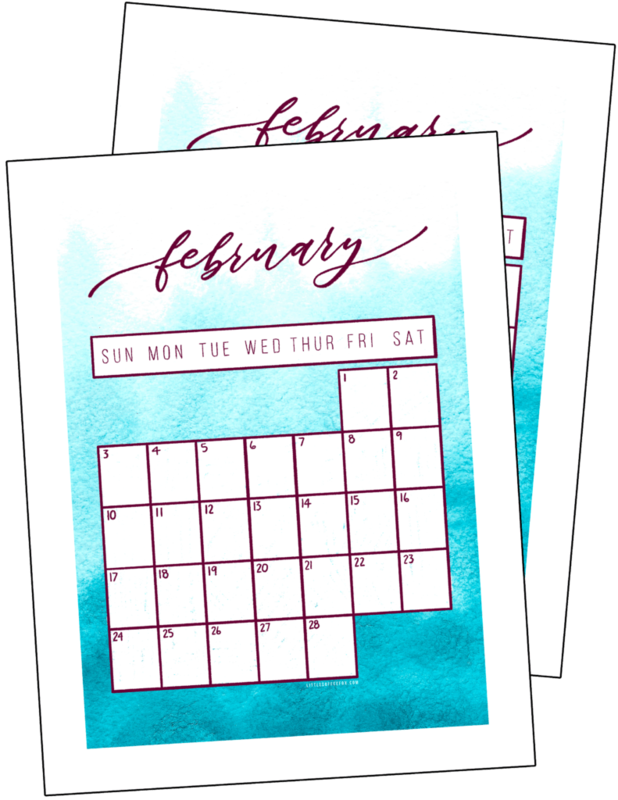 The February 2019 calendar printable is now available for you to download for free! In the past, I have created intricately drawn and colored printables to share with you. I always included a black and white version of the line art so you could color it in. On top of all of that, I created different sized versions as well. While I love providing freebies to you, I was trying to do too much. Unfortunately, creating this style of printables was taking up an enormous amount of my time and hindering my ability to work on other projects like tutorials and quality posts. Plus it was simply stressing me out each and every month. So for the foreseeable future, I’m changing the way I create free printables for you. Yes, there will still be monthly calendar printables for you to download completely free of charge. That’s not changing anytime soon! But instead of drawing out detailed art and providing a colored in version along with a line art version, I’m creating a more simple type of calendar that relies more on color and textures. 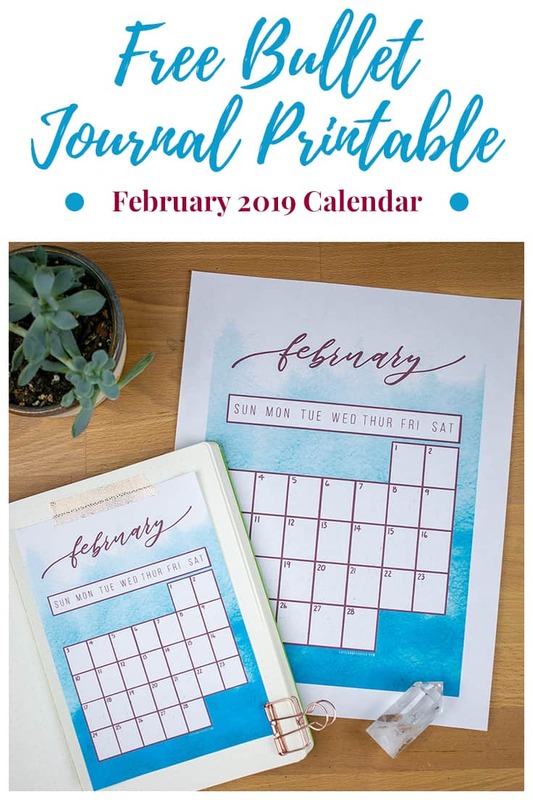 As you can see with this February 2019 printable, I am using brilliant and bold watercolor textures to create a gorgeous background for these calendars. Everything is still lettered and lined by hand, so you’ll still get quality handmade printables created with care. Personally, I think this style of calendar printable is stunning, and I think you’ll like it too! This printable design will come in three versions: the letter size printable (8.5″ x 11″), the A5 size printable (5.6″ x 8.3″), and the digital planner JPEG that is designed to fit nicely into your digital planning software. Ready to download your free printable? It’s easy to get access! Just sign up for the Fox Den Resource Library for free and this printable (along with the rest of the library of freebies) is all yours! Click here to sign up if you aren’t already and get the February freebie today. If you are already a member of the Fox Den, then you’re all set! Just head here or click the image below to get to the sign in page. 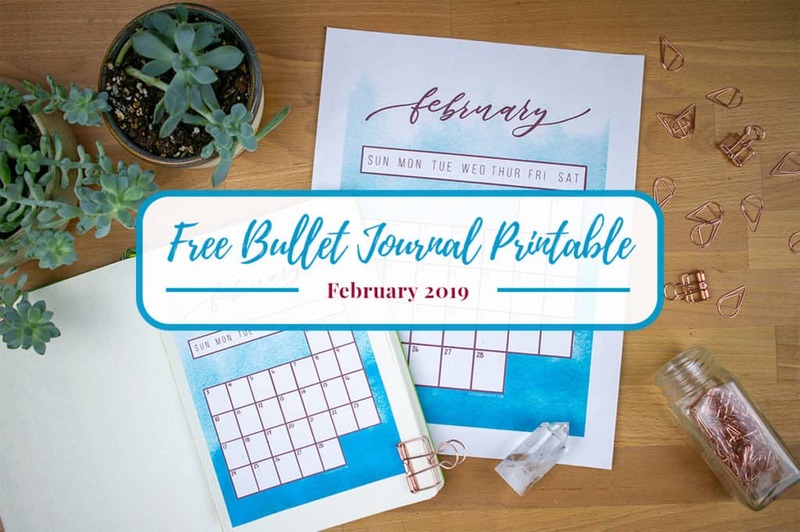 Enter the password that was sent to your email when you signed up and you can download your free February 2019 printable! I hope your February is full of warmth, joy, and happy planning!